A new updated and enhanced version of the well-loved original Groovy Music software, Groovy Music Cloud Edition lets elementary students create and explore music in a natural and intuitive way. Students can easily share their songs with classmates for collaborative work. Now available as a fully-native, high performance iOS App- download from the Apple iTunes store and use your MusicFirst username and password to log in. 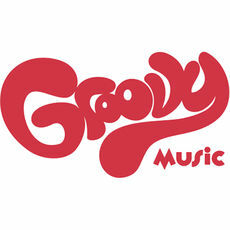 Groovy uses three animated themes– Groovy Shapes, Groovy Jungle or Groovy City. Each theme contains palettes of animated objects representing musical building blocks such as melodies, rhythms, and chords. Students simply drag the objects onto the screen, where they snap harmonically into the song being created. It’s very engaging for students to make music by building up their own animated song - and lots of fun! Note and Rhythm Editors Students can overlay graphic notes and a musical staff onto their animated song to view and edit the music they have created. And when editing a rhythm, work with a grid display where they can work visually with continuous looping playback. It's fun! Mode Groovy Music Cloud Edition now includes many topics from the original version of Groovy. These voice-led, finely-crafted, sequenced learning pathways will immerse students in learning key musical concepts, with student interaction built into the learning.